TJ Perkins VS Gran Metalik; Metalik wins. 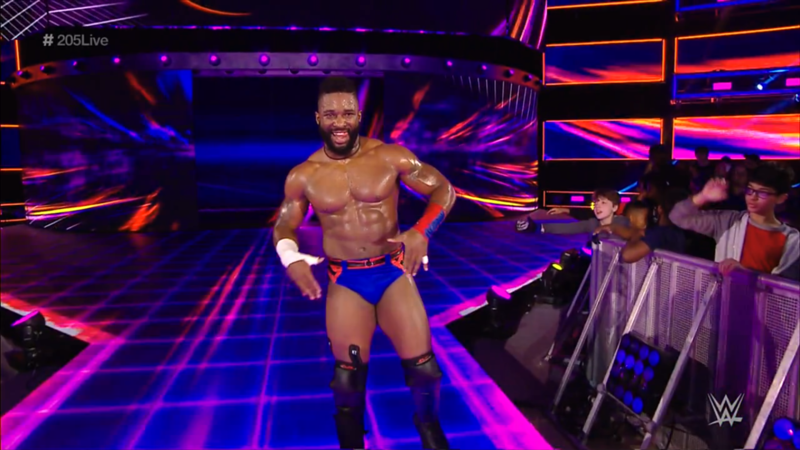 Cedric Alexander VS Tony Nese; Alexander wins. Raw saw Enzo Amore defend his Cruiserweight Championship against Cedric Alexander. The Certified G was back from being ill with the flu, and perhaps that was why he was not 100% ready to face a motivated Carolina Kid. Enzo held his own, but once Alexander got going, it was clear things were going the #1 contender’s way. Alexander would bust Enzo open across the eyebrow, and even flatten him under a Tope Conjilo. Enzo’s leg was in serious pain, and he let that be reason enough not to get back in the ring. The Cruiserweight Champion was counted out, the Cruiserweight Championship stayed with him. Neither man was happy with the result, but Alexander knew he was exceptionally close to winning that title. Will the Carolina Kid be given yet another second chance? TJ Perkins VS Gran Metalik! The “Cruiser-Great” FilAm Flash is 1-0 since his return last week, can he make it 2-0 against the King of the Ropes this week? 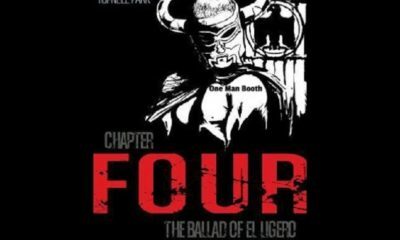 Likewise, how is Metalik feeling after the Ungentlemanly Alliance sidelined him with a leg injury? Before the match, TJP found the Lucha Amigos, Kalisto & Gran Metalik backstage. 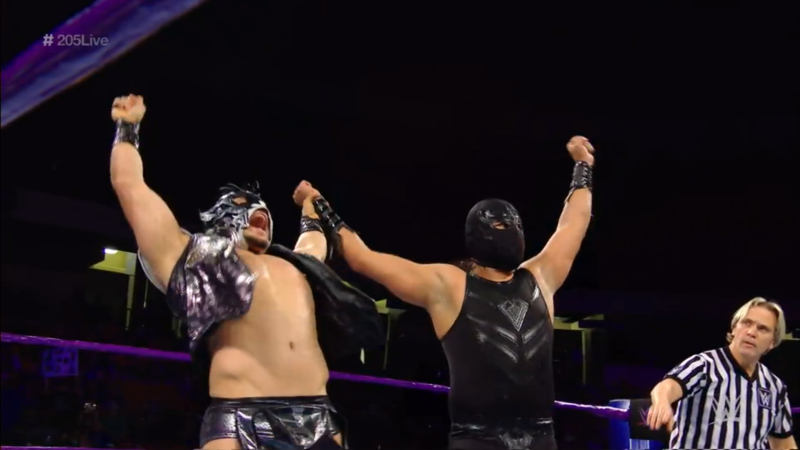 The inaugural New Era Cruiserweight Champion welcomed Metalik back from his knee injury. TJP prefers competing with his opponents at their best, like when he first defeated Metalik during the Cruiserweight Classic. Kalisto & Metalik welcomed TJP back, too, and reminded TJP a lot has changed since the CWC. If TJP is still living in the past, he is going to get left behind. He is not living in the past, Kalisto is just trying to catch up to the original. The bell rings, TJP runs in but Metalik unleashes chops. Metalik puts on a headlock, TJP powers out and gets out of the way of a handspring. He kicks Metalik low, then elbows him in the back before whipping him. Metalik reverses, things speed up again, drop toehold to La Mahistrol, TWO. 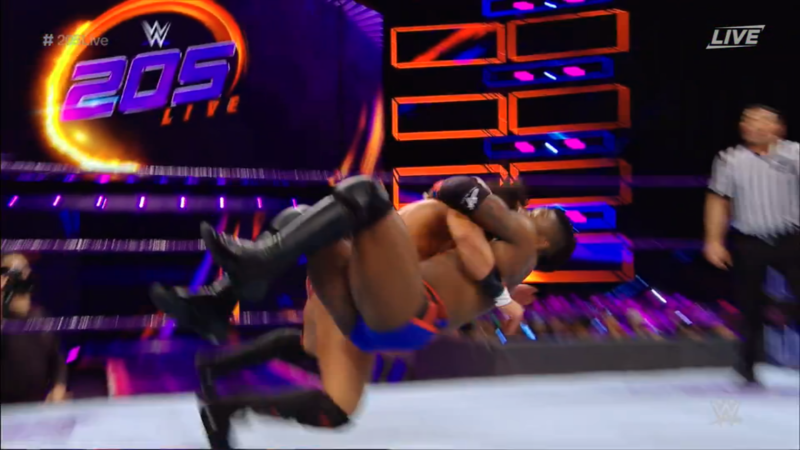 TJP pops up, Metalik arm-drags him down into an armlock. TJP headscissors, Metalik handsprings out to then dropkick TJP. 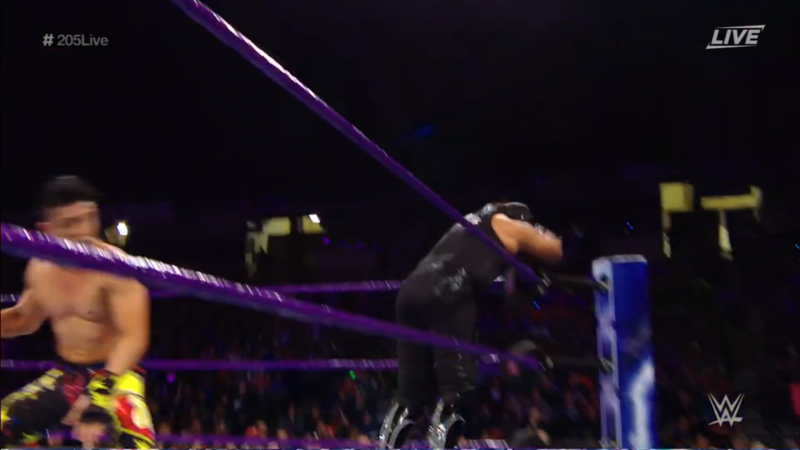 Metalik dares the confident TJP to do something, then whips him hard into a corner. TJP dodges and Metalik hits buckles, but with Kalisto watching backstage, Metalik comes back to hit an acrobatic arm-drag! Metalik gets the crowd fired up, builds speed, but TJP ducks under the baseball slide to kick back. TJP gives Metalik a European Uppercut as the ref starts his count, then whips Metalik at the steel steps. However, Metalik jumps over the steel steps and rolls through to stand back up! Then he comes back to flying huricanrana TJP! The count continues as Metalik gets TJP up and into the ring. Metalik climbs up, but TJP revives and trips him up. TJP then drags Metalik into a Tree of Woe and stomps a mudhole in before a corner to corner hesitation dropkick! He drags Metalik out of the Tree and to a cover, ONE. TJP whips Metalik, runs him over with a back elbow, covers, TWO. TJP puts on a chinlock, fans build to a rally for Metalik. Metalik stands up, fights out of the hold but TJP whips him. Metalik reverses, TJP knocks him down with springboard forearms, cover, TWO. TJP is getting a bit frustrated while Metalik gets himself to ropes. TJP grinds his foot into Metalik’s chin, then stands him up for a scoop slam, and slingshot senton. Cover, TWO, but TJP keeps his cool. He stomps on Metalik, then drags him up to snapmare him down to scrape his sole on Metalik’s eyes. TJP sits Metalik up to stretch his arms back. Metalik gets up and fans rally again. TJP lifts but Metalik slips out of the back suplex to roll TJP up, TWO! Metalik runs at TJP, only to get alley-oop’d onto buckles. TJP suplexes Metalik then covers, TWO. The former champ grows further frustrated, he puts Metalik in a trapped-arm chinlock. Fans rally for Metalik again, Metalik gets out of the hold but TJP puts him hard into a corner, face into buckles. TJP hoists Metalik up to the top rope then climbs up to join him. The two brawl up there, Metalik resisting TJP’s plans with body shots. Metalik bumps TJP’s head off the buckle, then stands right on top of the post. Metalik jumps, for a SUPER Sunset Flip Powerbomb! Both men are down, but Metalik uses ropes to climb to his feet. TJP gets up, but runs into a roundhouse kick! Metalik hits a SlingDog, then walks on the ropes to hit a missile dropkick! Cover, TWO, and Metalik is surprised. He drags TJP up, fireman’s carry but TJP rakes the eyes and eye-holes. Metalik elbows him away, TJP staggers, Metalik handsprings but TJP dropkicks him out of the air! TJP drags Metalik up now, for the Dodon Buster! TWO! TJP is furious now! He won’t stop there, he lifts Metalik in a fireman’s carry but Metalik slips out of that to shove TJP into a corner. Metalik runs in, TJP puts him on the apron, but Metalik gives him the swing kick to send him away. Metalik then climbs up to the top, walks the ropes, springboard elbow! He isn’t done there! Metalik brings TJP up into the fireman’s carry, spins around and hits the Metalik Driver! Metalik wins! And Kalisto even appears to help celebrate. The King of the Ropes returns to successfully make TJP break even at 1-1! Can the “Cruiser-Great” bounce back to get a winning record in 2018? He gets so frustrated, and shouts angrily at the fans. “You think this is good! ?” He takes his frustrations out on the announce desk by tossing off the lid, then kicking off the papers! “You think this is funny, huh! 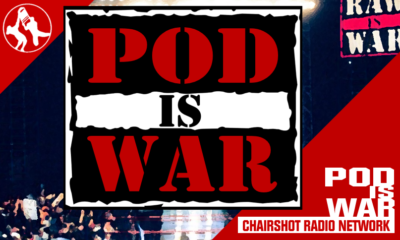 ?” TJP even throws an arm chair at the ropes! Backstage interview with Enzo Amore. 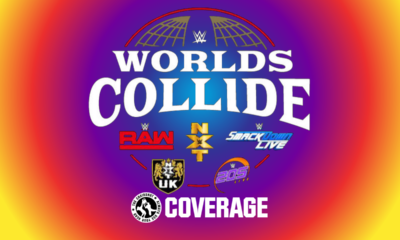 The Cruiserweight Champion is here in Birmingham, but how is his leg feeling after the damage done in his championship match last night on Raw? The Realest Champ says his Realest Ankle is feeling feeble and the Realest Right Eye is swollen up like a baseball. The scar will be permanent like a tattoo. Speaking of which, Enzo was considering adding a new one. He already has one on the front so maybe one on the back like a tramp stamp. Enzo will get the Ford symbol, because he’s built Ford Tough. However, WWE Medical Staff have not cleared Enzo for competition, so Alexander needs to consider himself lucky. 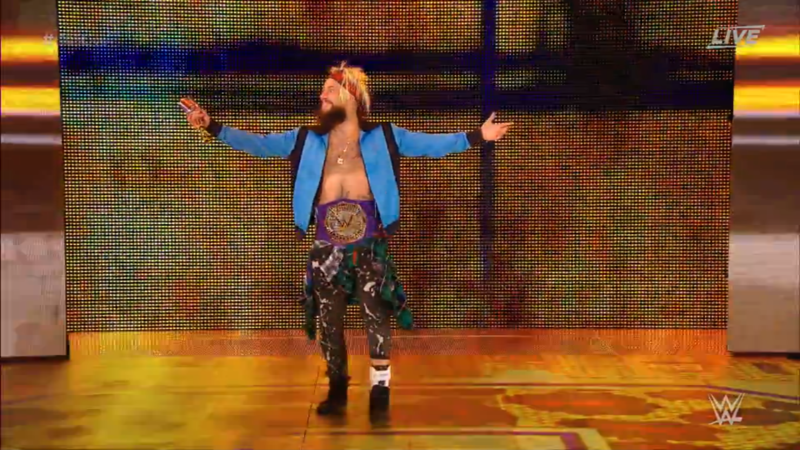 If Enzo could, he would break off his bad foot off in Alexander’s– “Well what do we got ova here?” It’s Tony Nese. The Premier Athlete reminds Enzo that his ‘Zo Train beat some sense into him. Nese admits he was out of line, but now that he’s back, he wants back in. Does Nese think it’ll be that easy? Oh it will be. When Nese gets back on the train, he’ll be second in command! When Enzo is gone, Nese is in charge! A bold statement from Nese, and Nese vows to back it up. Nese promises to beat and beat down Alexander. Can Nese assert himself at Alexander’s expense? Jack Gallagher heads to the ring. The Ungentle Gentleman again has a mic and speaks to Birmingham. “Ladies and gentlemen, for those hoping that Hideo Itami would slake his thirst for vengeance tonight, you’re going to be sorely disappointed.” Itami is bruised, battered and just plain not here thanks to the “thorough thrashing” Gallagher delivered. 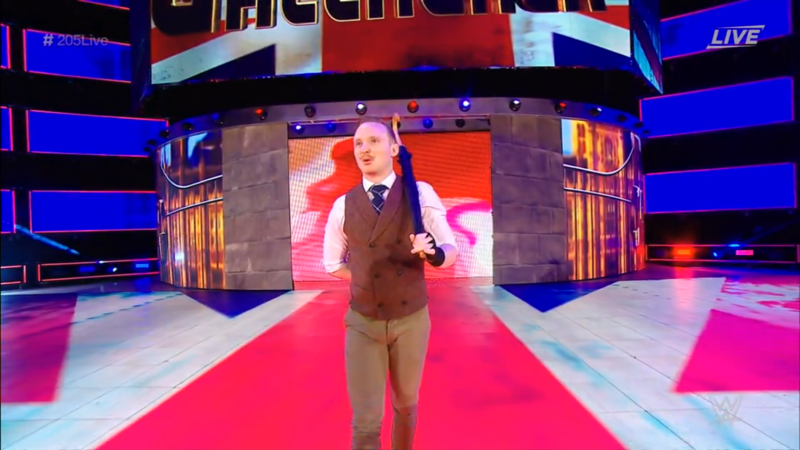 And don’t worry, if Itami does return, Gallagher has “such machinations” in store for him. Itami has bruises, but bruises fade. Unfortunately, Gallagher’s friend and mentor, THE Brian Kendrick, suffered injuries that don’t heal so easily. The “Scales of Justice” are not even, don’t you agree? Birmingham doesn’t. That’s just what Gallagher expected from them. While Kendrick’s future is in jeopardy, Itami will find no sanctuary. Gallagher vows to “ruin Hideo Itami’s life!” Wait, Itami appears?! And he points right at Gallagher. Itami storms his way to the ring, Gallagher puts up his dukes. Gallagher rushes Itami but Itami fires off right hands. He whips Gallagher and hits him with a boot! 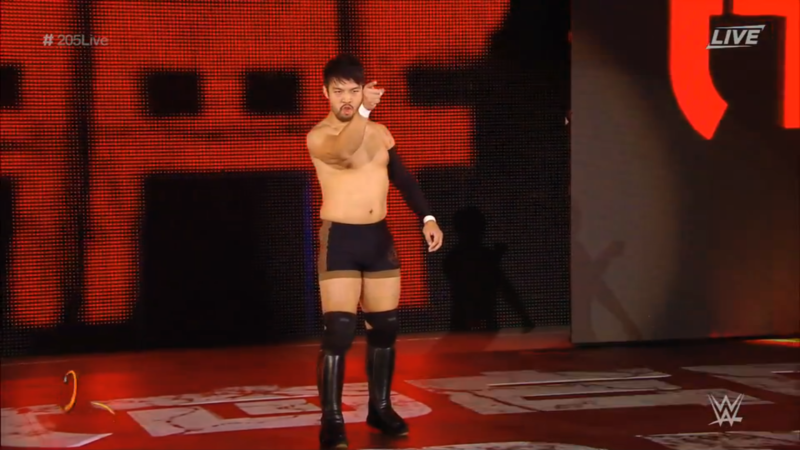 Itami is fired up, Gallagher goes for William III! Gallagher swings but Itami blocks, to then knock Gallagher down with a right hand. Itami is all fired up, he stands on William III to stop Gallagher from picking it back up. Itami kicks Gallagher away, and now Itami has William III! He winds up his swing, but Gallagher ducks out of the ring. 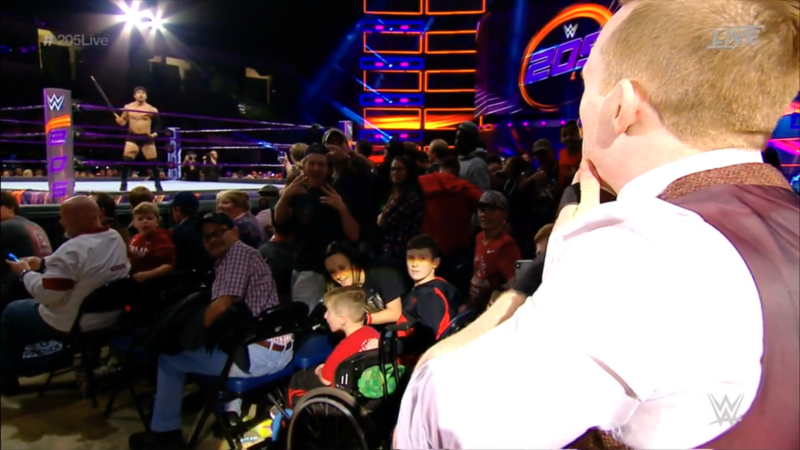 Gallagher runs away through the crowd, Itami dares him to come back for his umbrella. The Ungentle Gentleman stays away, what will it take for these two to settle the score? 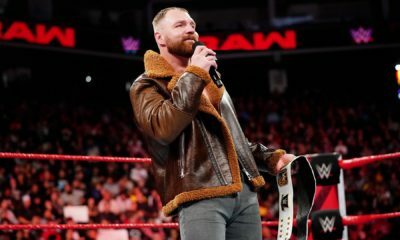 Is he at all disappointed in his hollow victory against the Cruiserweight Champion on Raw? 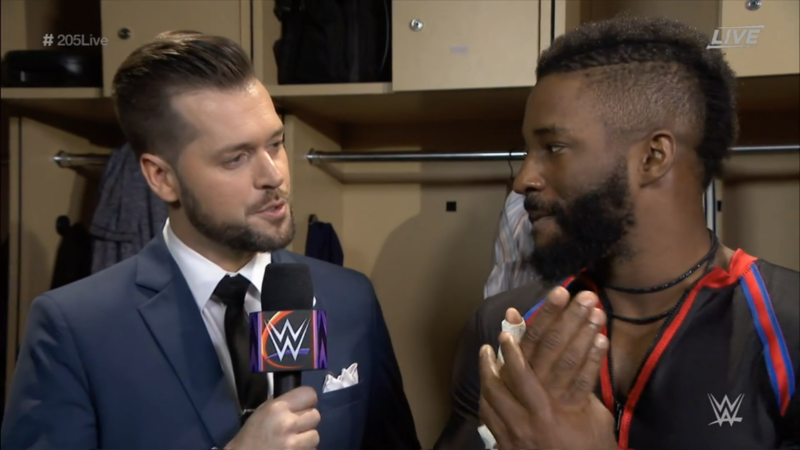 He does wish he was the new Cruiserweight Champion, but no, he’s not disappointed. Alexander worked hard to get to where he is, he is motivated. He will wait for Enzo to heal up, and then make his dream come true. Goldust comes in after the interview to compliment Alexander. The compliments mean a lot when they come from Goldust. 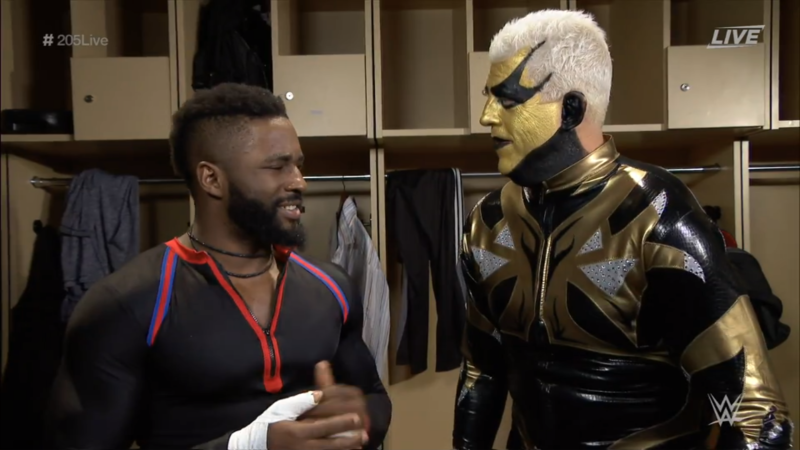 Goldust is just being a friend, and is making sure no one takes advantage of Alexander. Did you see Enzo’s mangled ankle? Wow! But be worried more about that “dirty mouth” that can talk him out of anything. Enzo has Nese in his back pocket, and Nese is ready to take Alexander out. Goldust heard Enzo is ringside, too. If Enzo gets involved, he’ll learn what’s worse than one bad ankle. And what’s that? Two bad ankles. Goldust assure Alexander he’s Goldust’s champ. Will Alexander thwart Nese’s attempt at redemption? Enzo Amore walks out to ringside. 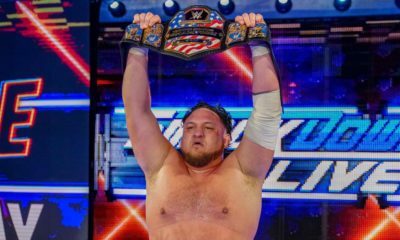 The Certified G Cruiserweight Champion does just as Goldust knew he would. The Bonafide Stud hears the fans in Birmingham chant “How You Doin’? 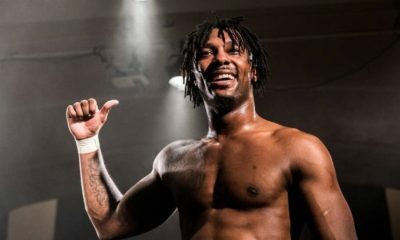 !” and he replies “I’m alright, nonetheless.” Enzo introduces “a man who has as many abs as Cedric Alexander is getting chances at my boo”, it is the Premier Athlete! 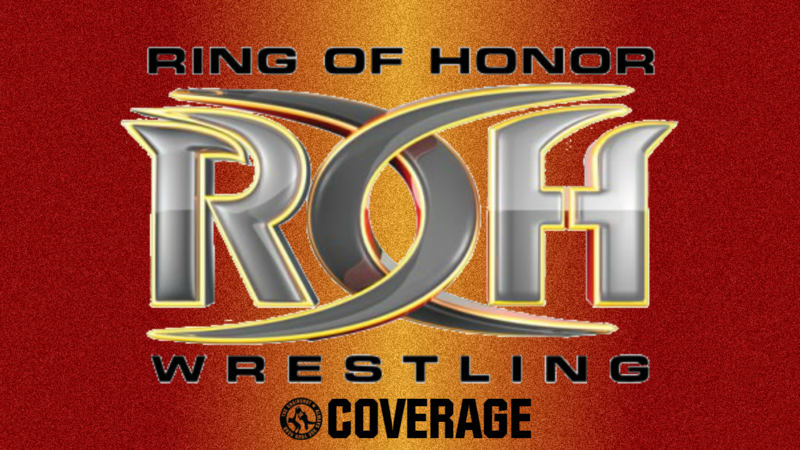 Cedric Alexander VS Tony Nese! Nese counts the eight reasons why he should be The ‘Zo Train’s number one guy, and they’re all his abs. Can “Tony Abs” come through on his promise to Enzo? 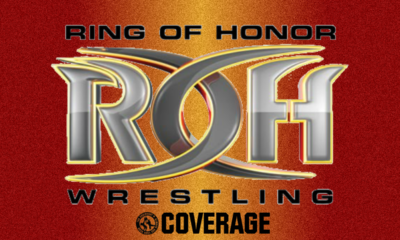 The bell rings, Enzo tells Nese to “prove yourself”! Alexander trolls Enzo about his ankle, Nese tells him to focus on his flex. Nese and Alexander circle and tie up, Nese wrenches Alexander’s arm. Alexander rolls and spins to trip Nese up, then gets running, only for Nese to run him over with a back elbow. Nese rains down rights and stomps, making sure Enzo sees it. Enzo sees it, he wants Nese to show and not tell. Nese brings Alexander up and rocks him with a right hand, then with a sharp chop. He then whips Alexander corner to corner but Alexander goes up and over to handspring headscissor and dropkick Nese down. Nese rolls out of the ring while Alexander handsprings up. Alexander builds speed but adjusts his flight plan when he sees Nese get out of the way. Nese trips Alexander up and Alexander hits apron edge! Nese then wheelbarrows Alexander to slam him into barriers! Enzo loves what he sees, Nese flexes while Enzo trash talks. “Why don’t you keep your eyes on the prize? Oh wait it’s right here.” The referee counts while Nese stomps on Alexander. Nese puts Alexander into the ring, covers, TWO, so Nese wrenches Alexander’s neck. Enzo trash talks while Alexander endures. Fans rally for Alexander, Enzo dislikes that, Nese throws Alexander down and covers, TWO. Back to the neck wrench, Nese and Enzo both trash talk Alexander. Enzo says HE is championship material like Gucci. Fans rally again, Alexander gets up, and he gives Nese body shots and a jawbreaker. Alexander runs but Nese runs him over, cover, TWO. Nese stomps Alexander, Enzo tells him to finish the job. Nese keeps stomping, then flexes more as he embraces the heat. Alexander chops back, then kicks back, but Nese gives him a stiff forearm. Nese drives knees into Alexander’s ribs, then whips him hard corner to corner. Alexander dodges Nese as he runs in, Enzo is upset with Nese. Nese gets a back elbow from Alexander, then a dropkick that sends him into buckles. Alexander goes to the apron to kick Nese in the face! The fans fire up, Alexander hits the step-in complete shot! Nese rolls out, Alexander kip-up and builds speed to FLY! Alexander wipes out Nese then gets him back in the ring, cover, TWO! 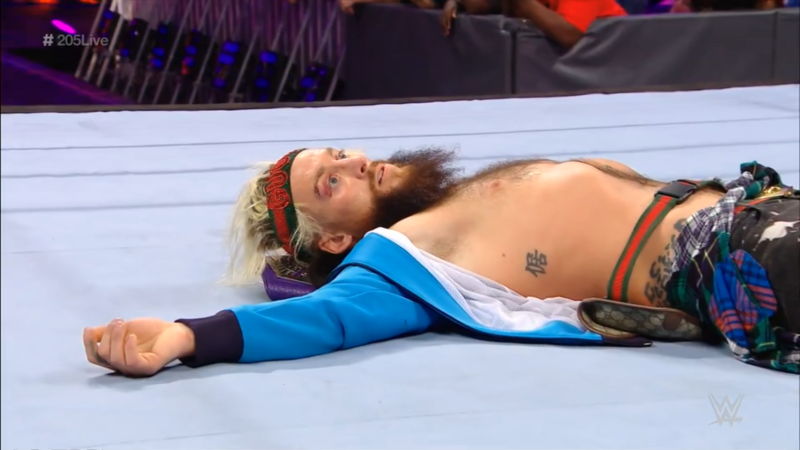 Enzo is both relieved and disappointed, he tells Nese to “get it together”! Alexander is up first, and he drags Nese up. Nese resists the finish and elbows Alexander, roll up, TWO! 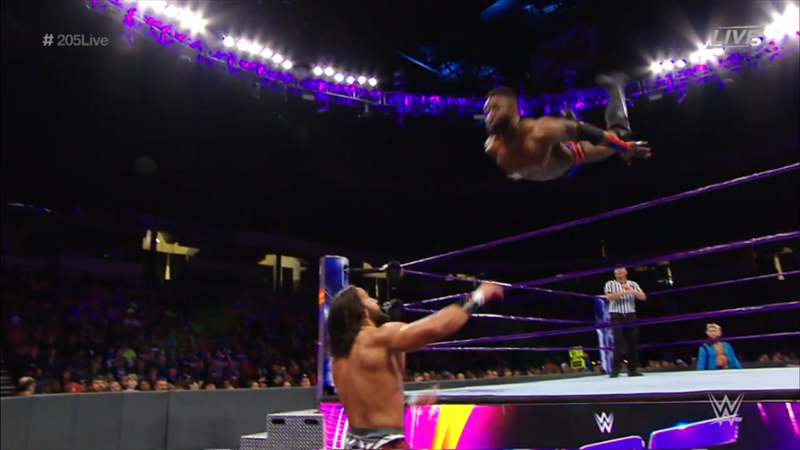 Nese puts Alexander on the apron, Alexander immediately springboards for the flying clothesline! Cover, TWO! Alexander is surprised, Enzo himself is a bit stunned. Nese stirs, Alexander is waiting. Nese uses the ropes for safety, so Alexander has to back off. Alexander comes back in, Nese gives him a flapjack hotshot on the top rope! Enzo reminds Nese that Nese vowed to beat Alexander down. Nese triangle jump moonsaults, but lands on his feet when he sees Alexander evaded. He gives Alexander a back kick then a knee lift, but Alexander blocks the roundhouse to give the back elbow. Alexander runs, handsprings, but Nese sees it coming to fireman carry into a gutbuster! Cover, TWO! Nese and Enzo cannot believe that one. 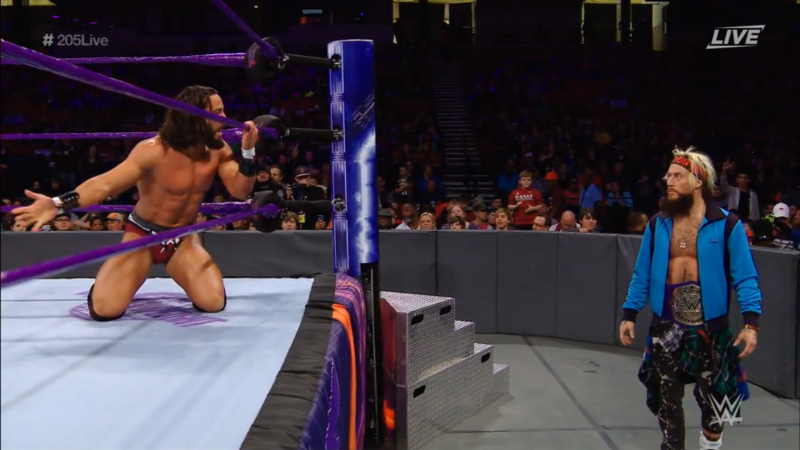 Enzo tells Nese to keep going, fans rally as Nese wills himself to his feet. Nese slaps Alexander around, Alexander slaps back! Alexander gives Nese forearms, Nese gives a strong one back! Nese runs, into an uppercut from Alexander! 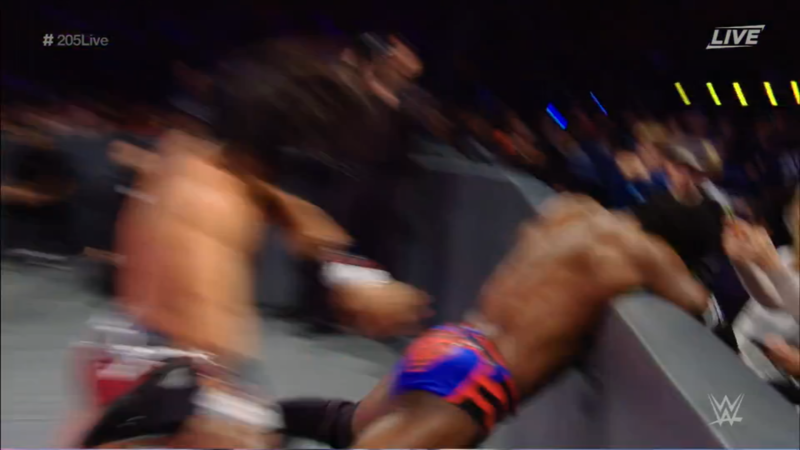 Alexander whips, Nese reverses to slip under, but Alexander slips out of the pumphandle. Alexander’s leg buckles underneath him! The referee keeps Nese back but not for long, Nese rushes in, Alexander surprises him with a small package roll-up!! Alexander snags a win! Enzo is beside himself as Nese tries to reason with him. As for Alexander, he celebrates his victory by revealing his ankle isn’t actually that bad. Enzo can’t believe he was tricked! He gets in the ring, Nese tries to say Alexander’s trick shouldn’t keep him out of the ‘Zo Train. Enzo simply tells Nese “Get the hell out!” Nese obeys, leaving Alexander and Enzo alone in the ring. “You think this is a joke?” Enzo asks Alexander. Enzo says Alexander knows he’d lose straight up if Enzo could compete. 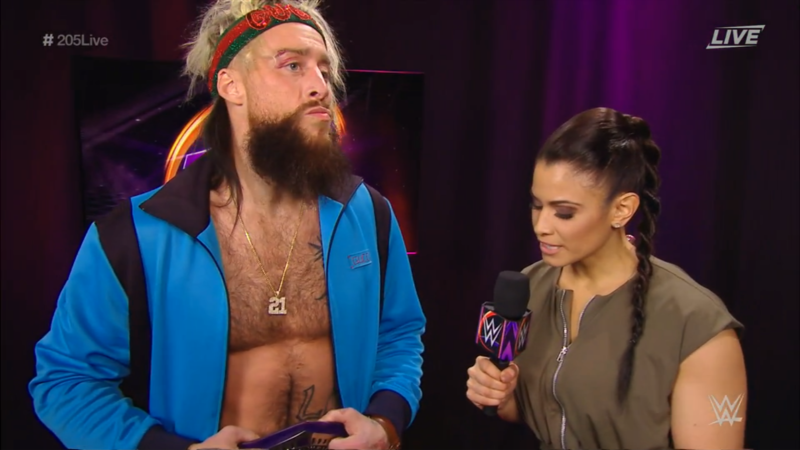 Alexander keeps looking at that bad ankle… Enzo says he should be paying attention to the title, but perhaps Enzo should be paying attention to Alexander. The #1 contender sweeps the good leg, then gives Enzo a Lumbar Check! Alexander drags Enzo to the center of the ring, and picks up the Cruiserweight Championship. He folds it and tucks it under Enzo’s head like a pillow. Enzo may have his “boo” for now, but will Alexander make the best of his second second chance? This was an interesting episode here. It seems that with THE Brian Kendrick out with his injury and Hideo Itami in, Kalisto & Gran Metalik have completely left the “cruel winter” behind. 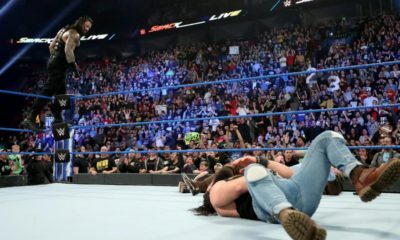 It is too early to tell if they will have an extended feud with TJP, but with the solid action in the ring and the surprising temper tantrum TJP threw after losing, it could work. 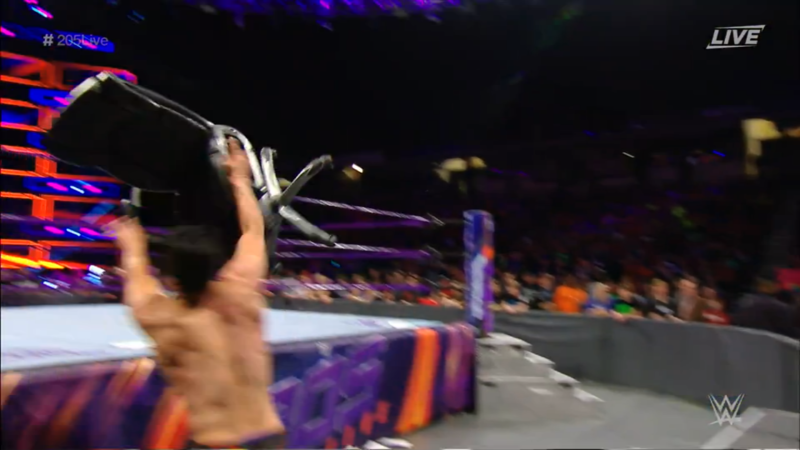 TJP continues where he left off in being the Cruiserweight Division’s top sore loser, but obviously he can’t lose too often, or else the ringside area won’t survive. 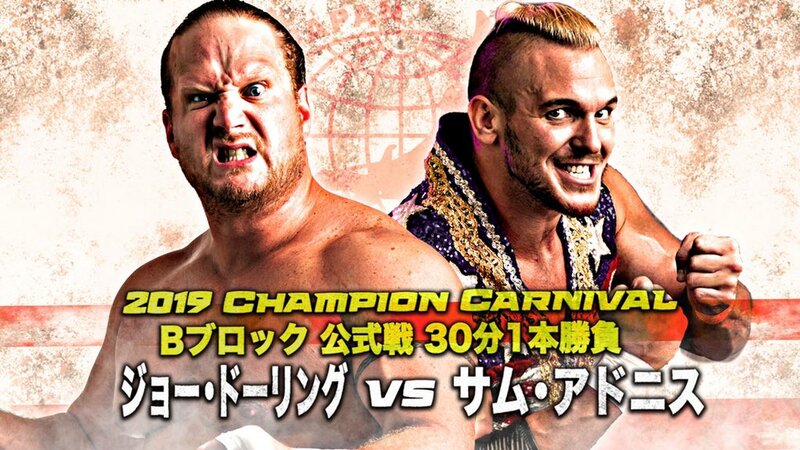 Itami VS Gallagher better be a No Disqualification match so that William III and other umbrellas can be used over and over as weapons. If Kendrick was healthy, I bet there would’ve been a Six Man Tag of Itami, Metalik & Kalisto VS TJP, Kendrick & Gallagher somewhere along the way. I enjoyed the championship related stories tonight, too. Nese’s story of “Who is Tony Nese without the ‘Zo Train” didn’t last long, but him wanting back in was probably the ending anyway. He loses to Alexander’s trickery, mostly as a jab at Enzo usually being the cheater. I almost thought fans were going to turn on Alexander, but luckily the comeuppance levels for Enzo are high enough that no one saw Alexander as the Heel for picking on an injured man. I still want to see Enzo lose the title because of something the ‘Zo Train does, thereby prompting someone like Drew Gulak to turn Face when they turn on Enzo, but I do like Alexander build strength for his own case of winning clean.